2004 was a fun year for toy collecting. WWE Classic Superstars just debuted, Marvel Legends and JLU figures were on fire, GI Joe was back in the fold and so were Transformers. But, by mid 2004, the MOTU 200X line came to a close due to lack of interest. Yeah, that was a hard pill to swallow. 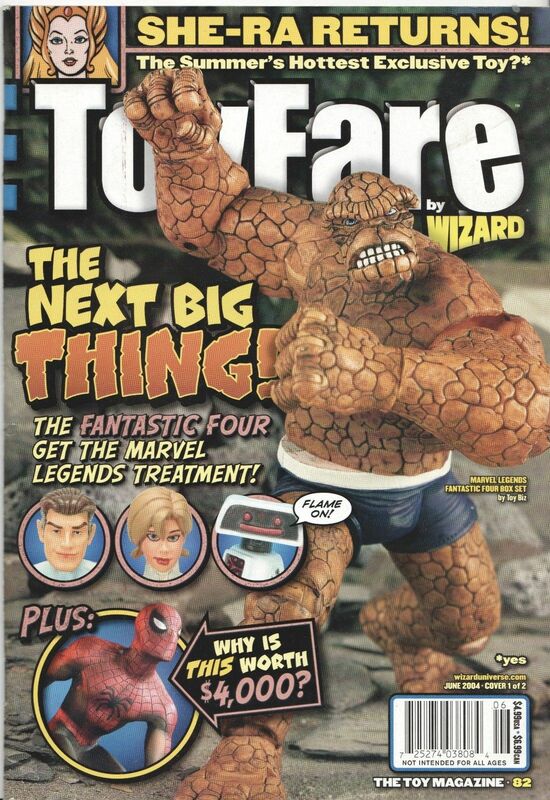 Toy collectors had such a variety of toy lines to pick from, but one of our childhood icons, which we thought would set the world on fire once again, was now being cancelled?!?!? Using MS Paint for this is appropriate, considering this is something I'd create in 2004. I guess there's nothing else to do. We had a good run. 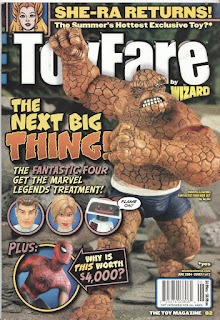 The cartoon was the best to date, the toys were superbly sculpted, we even got Mario Lopez palling around with He-Man! I mean, what else would we have to accomplish with this line? 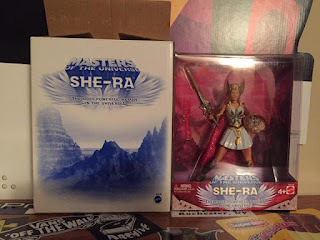 Well...one thing was missing: SHE-RA. Oh. Right. Um. Bad example. To be fair, we were at least given an appearance by the Horde in the second season of the 200X cartoon, which naturally, lead to speculation that She-Ra and the Rebellion would join in on the fight. 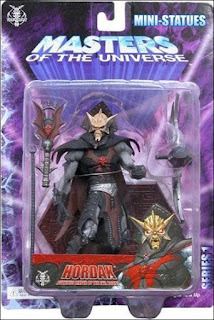 After all, Hordak was She-Ra's greatest opponent. You can't give us Hordak without She-Ra! 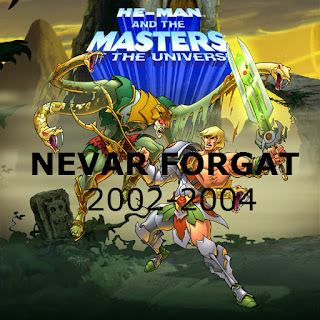 But sadly, with both the cartoon and toyline dead in the water, it just wasn't gonna happen. 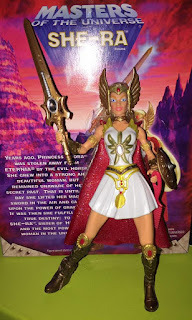 One day in mid Spring, it's announced in a Toyfare magazine that Mattel WILL be offering a She-Ra figure! Yes! It's actually happening we finally have a chance to truly close this chapter on He-Man and to a degree, She-Ra too. 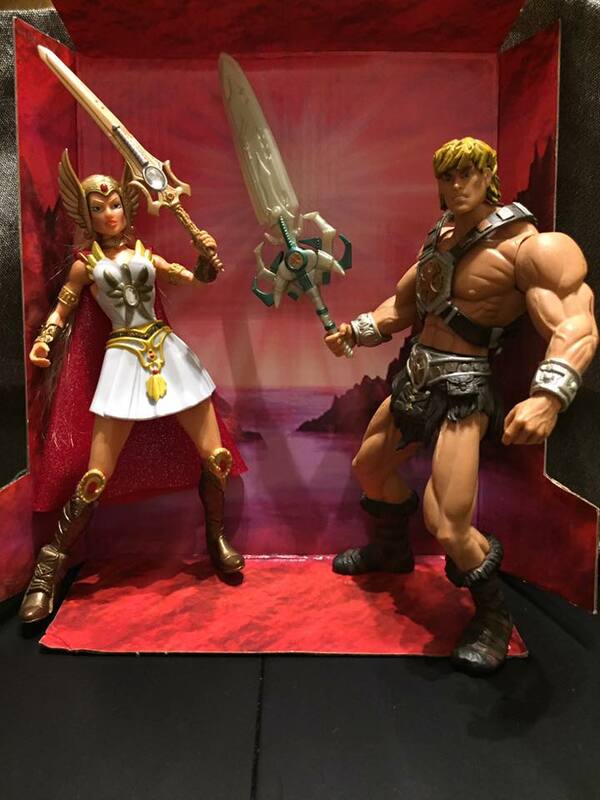 Now, even though this figure was a convention and He-Man.org store exclusive, the fact that we were even getting it was a real blessing. Don't get it twisted, I would have loved to have seen this figure hit the Toys R Us shelves alongside another line of MOTU figures, but I took what I could get. Finding out about this news, I called my friend Ryan, an equally insane MOTU collector and we put plans in motion to get out to Wizard World Chicago (one of the shows designated to sell the figure) just to get the figure itself. 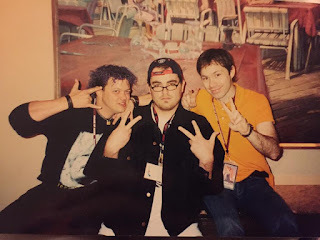 Oh sure, we would've taken full advantage of meeting our favorite artists and writers and some celebrities, but She-Ra was the main motivator. We were really looking forward to the trip, had our road trip mapped out, and even purchased enough cigarettes to get us from MD to Chicago and back. 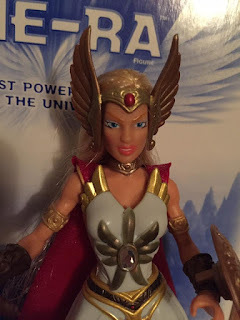 Sadly, that fell apart two weeks before the show and we were left She-Ra-less. Neither of us had any connections on the boards anymore, and we had no friends attending the shows themselves. We were crushed. For reference, had I attended the show, this is a what I would've looked like. Yes, I thought that was a good look in 2004. I have no excuse. Even after the show, I was never able to score one. eBay, trading, toy shows, whatever the case was, I couldn't find one! For a good 13 years, I'd still consider this a "holy grail" of toy collecting. I know that sounds ridiculous to some, but if I was willing to drive out to Chicago for it, it must mean something. 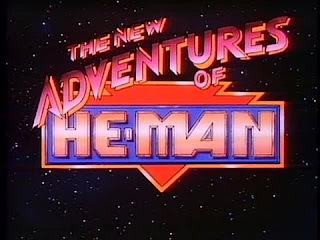 But thanks to a seller on the He-Man.org forums, I was finally able to get my hands on it. No longer would I be outbid, told "sorry, I just sold my last one" at a toy show or just not being able to afford one at an inflated price. Even better, it's still sealed in it's mailer box. Never been opened? This is even better. There it is! After all these years, it's mine! And it was well worth the wait! So, now that I own it, does it hold up? Is it compatible with the rest of the line? The answer is an emphatic YES. 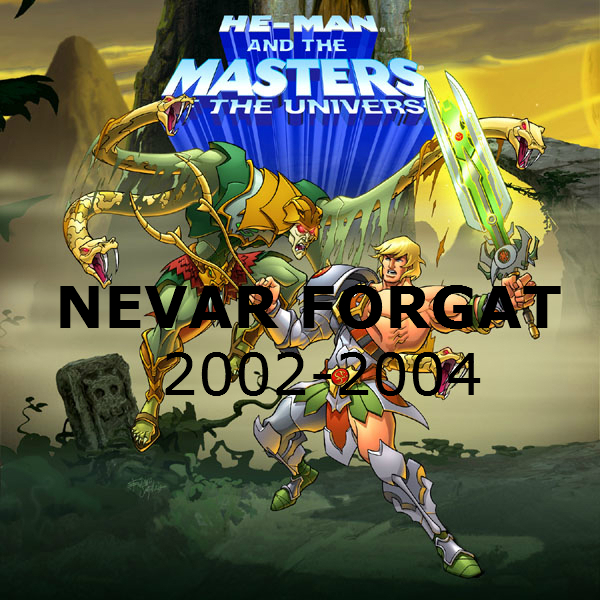 One of the big draws of the 200X series, for me at least, was the fact that it wasn't an overly cartoony toy line. It was much different and it kept the universe simple, based in fantasy and sci-fi. Doing a tooned out She-Ra just wouldn't have done it any favors. The sculpt by the Four Horsemen, is pretty solid. 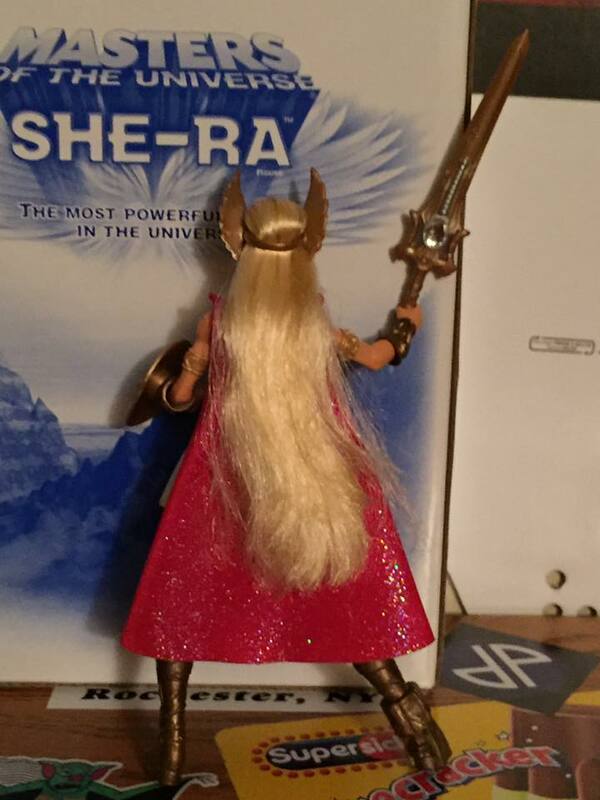 If I was to picture a She-Ra that was placed in that line, it's certainly going to be this. Still similar enough to the original, but not straying too far. I especially love the head. Keeping the doll head/doll hair combo is a nice touch and the perfect homage to the original. Her costume isn't that bad either. If anything stands out the most, I think it's this. 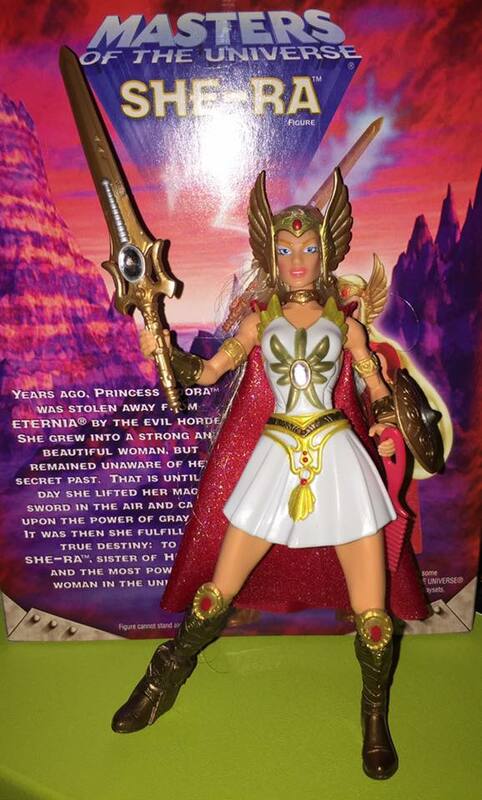 It does look more accurate to her Filmation cartoon appearance but still retains that "badass warrior" theme. 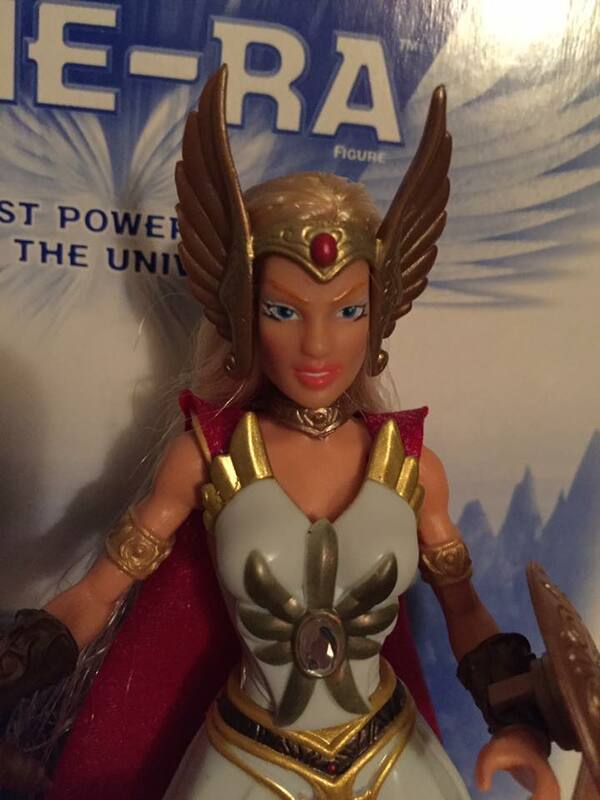 It's almost as if you merged She-Ra and Xena and this is what we were given. Which is a good thing! Oh yeah, they kept that weird jewel in the center of her chest. I guess it's true, diamonds are a girl's best friend. Now let's talk about her accessories. Much like the original figure released 19 years prior, our Princess of Power comes with a cape, headdress, shield, her power sword and a...comb?!?! Well, sure. You don't get beautiful locks like those just by sitting on a couch. Heavens no! She-Ra knows what's up. 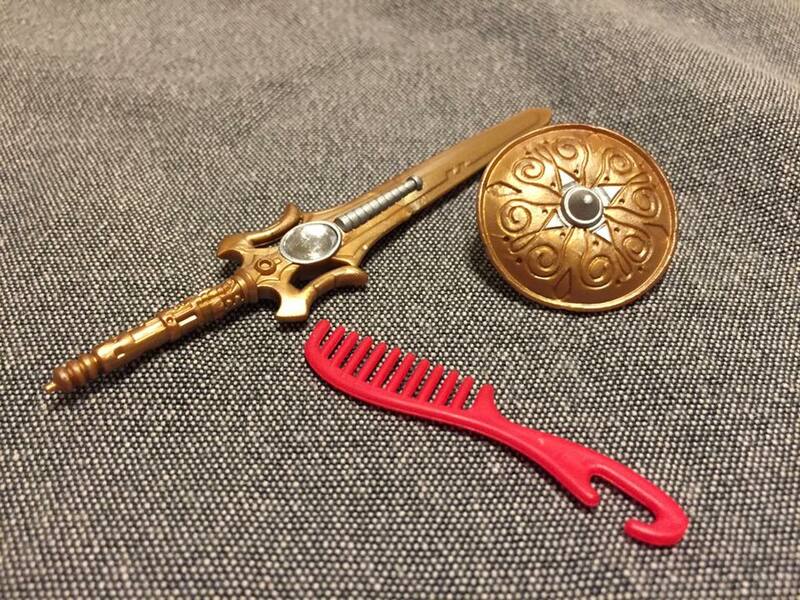 Her sword may have been the most unique of her accessories. The shield looks cool and all, but this sword is probably my favorite accessory. It seemed a theme in the line was "technology" as a lot more characters had wires and other techie stuff integrated into their costumes, vehicles and weapons. 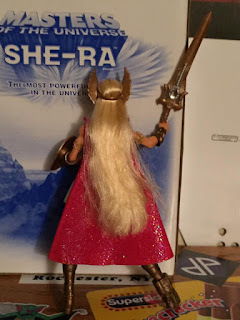 She-Ra's sword stood out though and actually looked more like the Power Sword of the original series than anything else. I guess my only complaint is the fact that she has such a weird pose. I don't exactly why they have her standing so odd and couldn't find a better stance but that's not my business. I do find it rather irritating that it says the figure won't stand right on the back of the box. Why would you tell people the figure they just bought won't even be able to displayed? Seems fishy to me. So after all this time, She-Ra is mine. I'm so happy, I feel like I can finally end the collecting of the 200X series for good. I've got all the figures I wanted. Although, I really don't want to stop so maybe I'll pick up the others out of sheer love of the line. But if I do stop here, I'm happy to say it's for a good reason. Upon finally owning this figure, I can finally let go of my anger towards Mattel for cancelling the line and I can finally say I found the crown jewel of the line, certainly in my opinion.